A good job advertisement is designed to attract the most suitable qualified applicants. It is not just applicants that are competing with each other for jobs; employers are also completing with each other to attract the best candidates for their vacancies. Employers usually try to squeeze as much information into their job advertisements as possible. 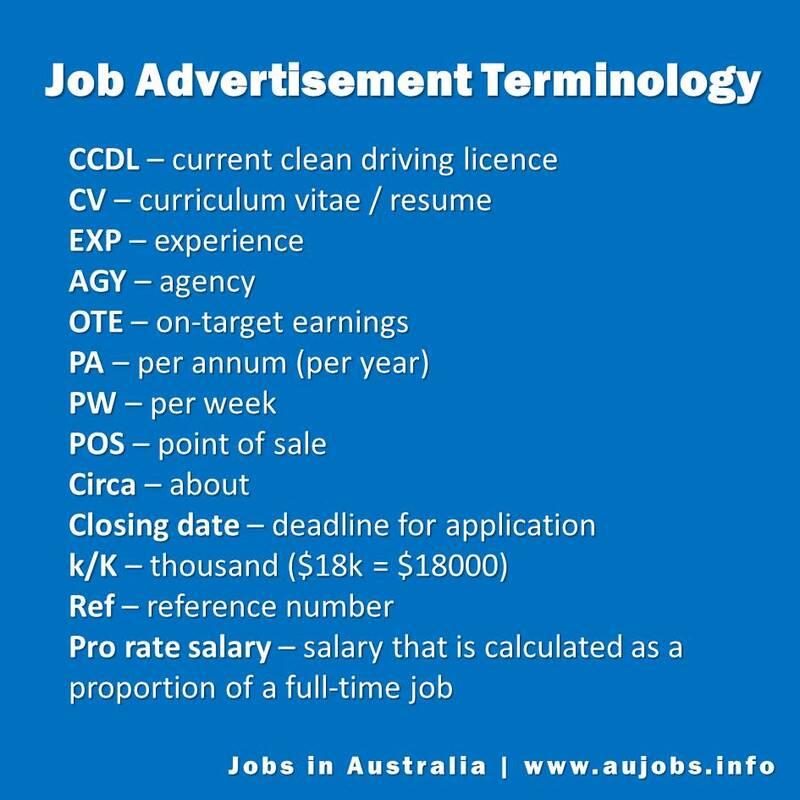 However, because advertisement is expensive and space limited, they tend to use abbreviations to describe roles in as few worlds as possible. What are the full meanings of the following abbreviations? 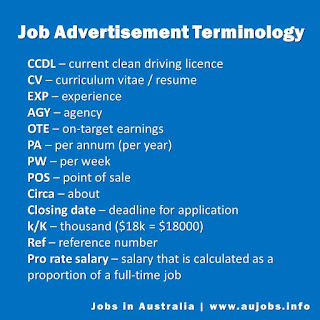 Job advertisements tend to be use a lot of jargon, like proactive team player. Look at the extract from a job advertisement. Are you flexible, dynamic & result-focused? Try to match the jargon above to the following questions. 1. Do you have a personality that will fit in with the rest of the team? Are you willing to help with tasks outside you job role when required? 2. Are you someone who wants to work, is prepared to do what it takes to fulfill your job function and make money for the company? Will you be aware of how your actions affect the company as a whole? 3. Are you innovative and creative? Are you the type of person who things intelligently and can generate ideas to improve things? 4. Are you prepared to work to meet the demands of the business, which might involve relocating to another office or working extra hours – even weekends? 5. Do you meet deadlines, work well with others and get things done? Can you provide reliable work under pressure and be trusted with multiple responsibilities? Many job advertisements request familiarity with certain tools, skills or languages that are relevant to the job. Try to put the expressions in bold in order of knowledge and experience required. English language are essential; additional languages are a plus. although working knowledge of either software package would be advantage. Try to sort the phrases into two groups.